There are two main types of materialused to fabricate a veneer: composite and dental porcelain. A composite veneer may be directly placed (built-up in the mouth), or indirectly fabricated by a dental technician in a dental laboratory, and later bonded to the tooth. In Geneva, dentists with a postgrad in reconstructive dentistry are specialized in these cosmetic treatments. Orthocaps is a concept of invisible orthodontic treatment which consists of wearing transparent and removable aligners. Very practical and extremely discreet, this treatment offers an impeccable result. It is mainly used for adults who wish to correct the position of their teeth. The treatment lasts approximately 9 to 12 months for the cases of average complexity. Certain dentists in Geneva propose this kind of treatment, among them Dr Erik Perpignani. The implant imitates the nature: it is designed to anchor firmly in the jaw and to maintain the artificial tooth in position. The implant is a smallpiece of titanium, alloy of titanium or ceramic, materials well tolerated by the human body. Furthermore, we noticed that the titanium adhered well to the human bone. In more than 90 % of the cases, the dental placement of implants is a simple act. It requires a single intervention under local anesthetic for the placement of implants. Two to three months later, the ceramic definitive crowns (fixed prostheses) are applied. This 2nd stage, said esthetic, is proposed by the dentists of Geneva having done a training course in prosthodontic dentistry. This low-concentration whitening involves purchasing a thin mouthguard or strip that holds a relatively low concentration of oxidizing agent next to the teeth for as long as several hours a day for a period of 5 to 14 days. Results can vary, depending on which application is chosen, with some people achieving whiter teeth in a few days, and others seeing very little results. 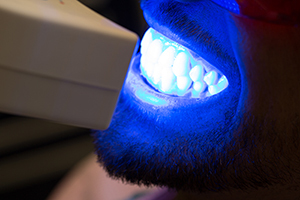 Dentists in Geneva can make custom fitted whitening trays that will greatly improve the results achieved with an over-the-counter whitening method. The cosmetic ceramic crown is the archetypal tool to reconstruct a smile. It is a ceramic esthetic prosthesis which replaces the totality of the natural crown of the tooth (that is the visible part of the tooth) when it is destroyed partially or totally. The crown in E-max is one of the best crowns in the world today. A single defect, its price, more expensive than crowns in zircone. Veneers, crowns, bridges in E-max offer an unequal led color, transparency and solidity. This crown is today the best combination of esthetic, strength and durability. 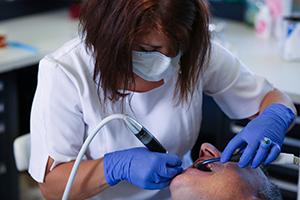 The dentists having followed in Geneva a postdoctor altraining in reconstructive dentistry at the university are specialists in this domain of esthetics. On weekdays, time permitting, we take care of dental emergencies such as accidents, infections, pain.